Modal analysis for determining the natural frequencies of components. Lambda offers modal analysis services for determining the natural frequencies of components. Component distortion, or part-to-part variations in geometry, can result in differences in the natural frequency. An unexpected shift in the natural frequency of a critical component may increase the operational stresses depending upon the loading spectrum. 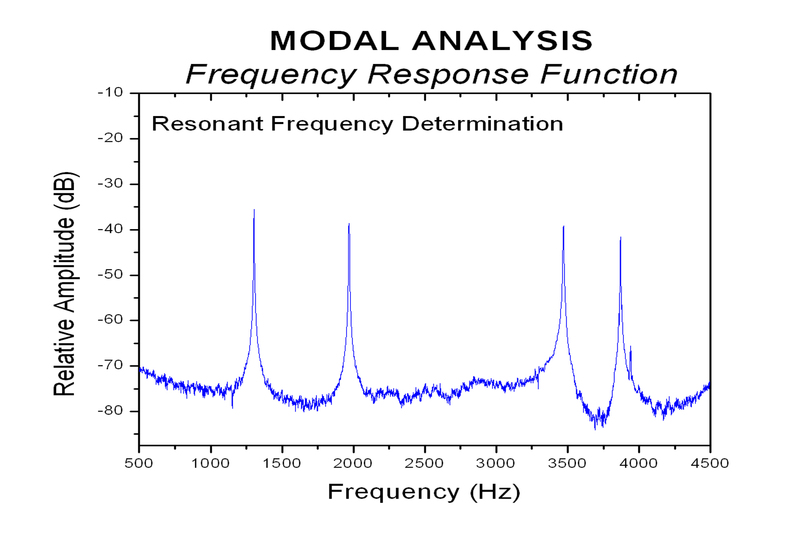 Accurate assessment of modal frequencies with frequency response functions (FRF). Data reduced from time domain to the frequency domain using Fast Fourier Transforms (FFT). 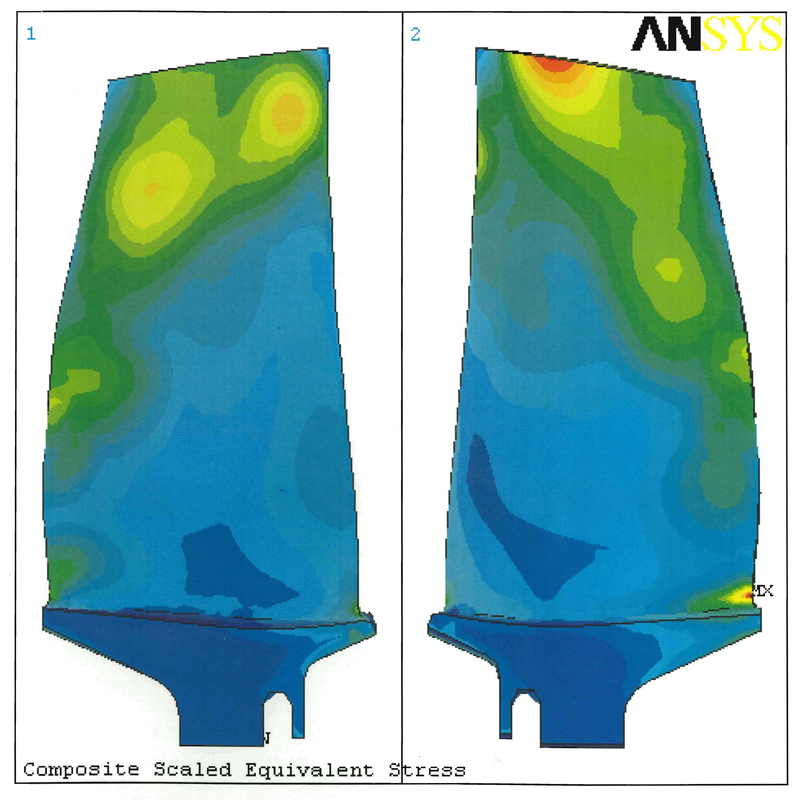 Modal results can be used to verify finite element modal analysis. In-house procedure for statistical analysis and presentation of frequency shift between individual samples or groups of samples. Capable of measuring natural frequencies up to 10 kHz.